This introductory workshop is aimed at counsellors and psychotherapists interested in using the sand tray within their therapeutic practice. Clients choose from a range of miniature figures and objects, and arrange them in the sand. The ‘theatre of the sandbox’ provides a controlled space to express and explore emotions and life issues. Once feelings are organised and externalised in sandplay, they can be contemplated from a distance, and then assimilated.– integrating inner and outer worlds. Talking or playing with the therapist, the client can explore relationships, make connections and explore new possibilities. ‘ Sandplay is hands on psychological work. It is a powerful therapeutic technique that facilitates the psyche’s natural capacity for healing. In a “free and protected” space provided by the therapist, a client creates a concrete manifestation of his / her imaginal world using sand, water, and miniature objects’. (C.G.Jung). Like other forms of image-making, sand tray work provides a means of accessing the client’s inner world, through the imagination; by-passing the rational-logical mind. Different to painting or drawing – it involves using concrete objects which can be moved. It is an expressive and dynamic approach. Symbols are not interpreted by the therapist, the meaning belongs to the client. The therapist’s role is to facilitate the client’s deeper understanding and expression. The workshop will combine theory, practical demonstration of techniques and experiential work. Participants will have the opportunity to practise in pairs, share, reflect and ask questions, in order to integrate their learning. The course is open to qualified counsellors / psychotherapists. Trainees will be considered, dependent on experience and if they are in personal therapy. 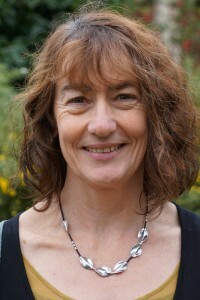 Catherine Bishop works in private practice as an integrative and transpersonal psychotherapeutic counsellor with individuals, couples and children. She offers the use of a variety of arts to explore emotions, dilemmas and creative solutions to problems. Catherine is an experienced teacher, trainer and group facilitator, having worked for many years in the world of education. Her approach to training is interactive and flexible. She aims to combine delivering a core objective with space to be responsive to participants needs. She completed her core training at the Institute of Psychosynthesis, London, and further training in using the arts with Children and Couples at the Institute for Arts in Therapy and Education and Time2relate. She also provides emotional literacy training in schools and runs therapeutic arts groups for children.